I wish I’d come up with the name Views and Brews. A northeastern US club, Views and Brews, has the same philosophy as my husband and I do: vacations that are coordinated around where we can hike, and if we’re lucky, where we can enjoy a cold local craft beer to commemorate it. As someone who enjoys all kinds of brew, I also look forward to breakfast with coffee too! The best combination of place has all three, a good coffee shop, a local brewery and a mountain nearby. 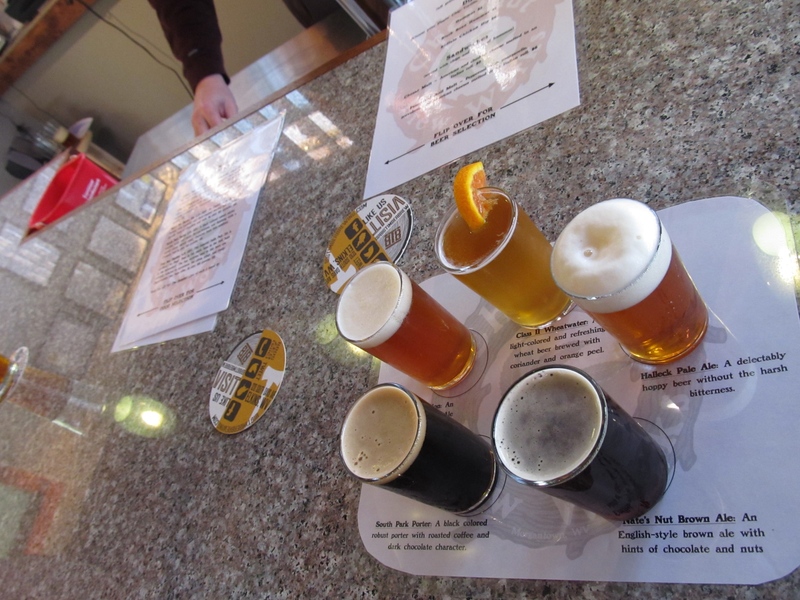 I’ve had this app on my list of things to discover for a while – the Best Beer at Untapped. Morgantown has recently added to the list of breweries to try in the state of West Virginia with the opening of Chestnut Brew Works. What’s the thing I heard most while enjoying the flight at the bar? 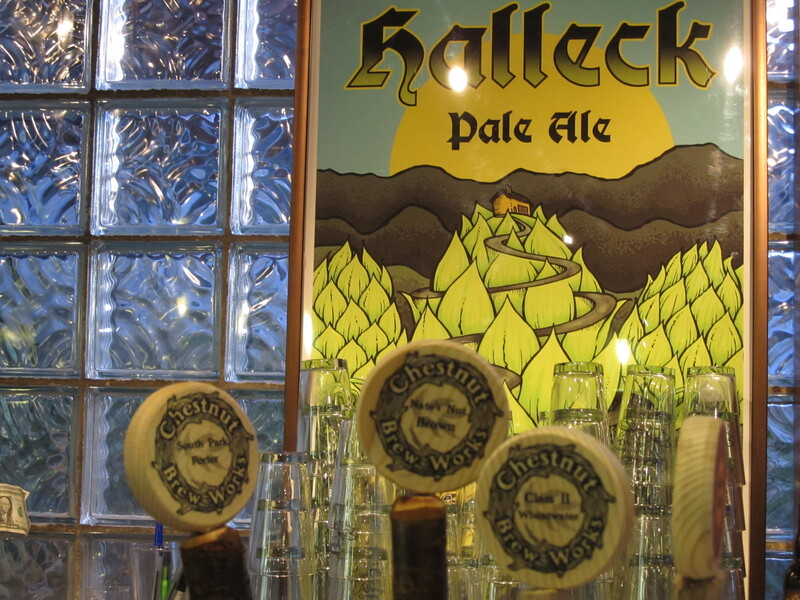 I’ll have a Halleck, I’ll have a Halleck, I’ll have a Halleck… it may be the beer of choice for the whole city.